Adopting a special hydraulic system, the unit has a strong cutting capacity. The four big steel columns replace conventional sliding rails accuracy guarantees. Double-pressure cutting ensures fast and powerful performance; noiseless and no vibration force. Employing an inner gearing pump, the unit has a big volume, and can perform quietly. The emergency brake device guarantees operator's safety. Tools can be preset before cutting; easy, fast and precise. Machin measurement and pressure can be custom-made according to customer's requirements. 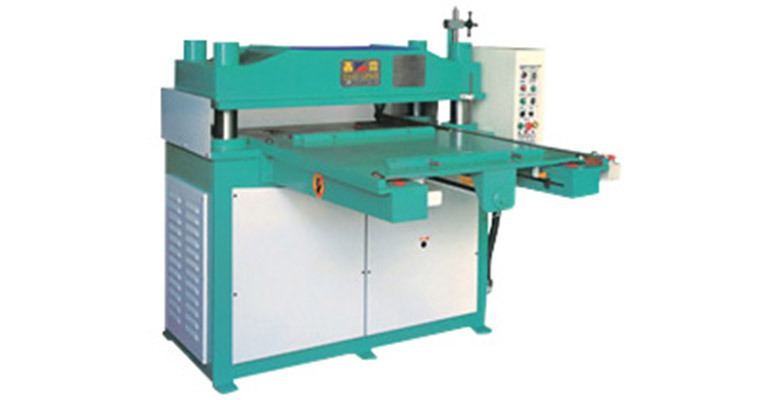 Suitable for cutting large-sized workpieces such as plastic flooring, auto carpets, vacuum-formed products, leather, umbrella cloths, corrugated card boards, nylon cloths, canvas, etc.